He had been diagnosed with ADHD – Attention Deficit Hyperactivity Disorder – and been taking medication for a year but, to the despair of his teachers and mother, his behaviour had not improved at all. I was not at all surprised. Why? Because, after 50 years of practising medicine and seeing thousands of patients demonstrating symptoms of ADHD, I have reached the conclusion there is no such thing as ADHD. This so-called condition has apparently spread like wildfire across the globe in recent years, with a huge increase in its diagnosis and medication. More than 4 per cent of adults and 11 per cent of children in the U.S. have been diagnosed with ADHD – a leap of more than 40 per cent in the past decade. 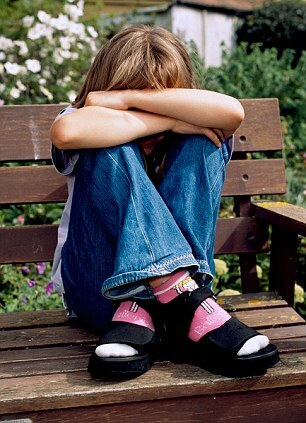 It’s now the most common mental health disorder in the UK and affects around 2 to 5 per cent of school-age children. Prescriptions for the stimulants used to treat it, including Ritalin, doubled for children and quadrupled for adults in the UK between 2003 and 2008. But these stimulants – so-called because they’re designed to stimulate parts of the brain that are not thought to be working properly – frequently do not help, and instead cause a range of side-effects, some dangerous. They can even make symptoms worse. To treat ADHD as a condition, rather than a set of symptoms, is doing a terrible, and dangerous, disservice to the children and adults who are diagnosed with it. There is no doubt that the symptoms – an inability to pay attention to details, fidgeting, interrupting, difficulty staying seated, impulsive behaviour – exist. But to lump them together and turn them into a diagnosis of ADHD, then to treat this so-called condition with stimulants, is like treating the symptoms of a heart attack – such as severe chest pain – with painkillers, rather than tackling the cause of them by repairing the heart. It is dangerous, neglectful and wrong. Back in the Seventies, I believed in ADHD. It seemed to explain the attention issues that affected so many children. But over the years I’ve come to realise that the symptoms actually had a whole range of underlying causes that were being ignored because of the knee-jerk diagnosis of ADHD. As I argue in my new book on the subject – which has generated a furious controversy in America, where I work as a behavioural neurologist – we’ve become stuck in a cycle of misdiagnosis of ADHD and over-prescription of stimulants such as Ritalin. Only by properly investigating, identifying and treating these causes can we help our patients. In the case of the 13-year-old boy, I ordered a series of blood tests. These showed he had an iron deficiency: after school, while his mother was out at work, he binged on junk food that was high in sugar but low in iron. Iron deficiency (anaemia) causes physical fatigue, poor attention and concentration, and memory problems. As soon as his iron intake improved, with iron pills and more fish, fruit, vegetables and nuts, his performance and behaviour improved hugely, too. The ADHD diagnosis and the stimulants had masked the real problem, as is so often the case. In France, a study in 2004 found 84 per cent of children diagnosed with ADHD were iron deficient, compared with 18 per cent of ‘non-ADHD’ children. Yet time and time again, doctors miss the real problems – some serious, some easily correctable – by automatically reaching for the ADHD label. In my book, I identify more than 20 causes of the symptoms that are called ADHD. Sometimes there is nothing wrong at all, but because of the high awareness of ADHD, parents, teachers and even patients themselves know about the ‘condition’ and are eager to have it treated – and busy doctors are all too ready to oblige with a quick, catch-all diagnosis of ADHD. I’ve turned away countless students who have come to me claiming to have ADHD and asking for a stimulant to help them concentrate, hoping that it will sharpen their performance. But many other doctors willingly prescribe them. The definition of ADHD has become ever broader in recent years. The checklist of symptoms used to diagnose it now includes a failure to pay close attention to details, seeming not to listen, losing things frequently, being ‘too disorganised’ and forgetful, fidgeting with hands or feet, getting up when meant to be seated, talking excessively, blurting out answers, interrupting or intruding on others. The definitions are so subjective – how much talking is ‘excessive’? How disorganised is ‘too disorganised?’ – it is no wonder that more and more children and adults are being diagnosed across the Western world. Many ADHD patients have other conditions, such as depression, bipolar disorder and schizophrenia. These are said to ‘co-exist’ with ADHD, but in my view they’re the actual cause of the ‘ADHD’ symptoms. Treat them and you will treat the ADHD. Failing to treat them and pumping the patient with stimulants instead only makes things worse. The side-effects of stimulants include reduced appetite (dangerous for children, who need a good diet), sleep disturbance (tiredness can exacerbate attention problems), anxiety, irritability, depressed moods, delayed puberty and, in adults, sexual problems (such as erectile dysfunction). And long-term use of stimulants makes people resistant to them, meaning they need higher and higher doses. The drugs can damage memory and concentration, and have even been linked to reduced life expectancy and suicide. Yet stimulants are being prescribed more and more frequently, creating a health time bomb and neglecting the real causes of the problems. A seven-year-old girl was brought to me because she was disruptive in class, fidgeted and talked loudly. She had been diagnosed with ADHD and prescribed Adderall (similar to Ritalin), but it caused sleeping problems that made her more disruptive. I had her eyesight tested and she was found to be significantly near-sighted: her disruptive behaviour in class stemmed from boredom, brought about by the fact she could not see the board properly. Once she was given glasses, her behaviour improved almost overnight. She no longer had ‘ADHD’ – or rather, she never had it in the first place. Similarly, many ‘distracted’ children who stare out of the window, are, in fact, suffering from eye strain and need glasses, not stimulants. Another common cause of ‘ADHD’ is simply a lack of sleep. Adults need a minimum of seven hours a night, and schoolchildren ten to 11 hours. If they don’t get it, they can suffer a variety of problems, including many of those identified as ADHD symptoms: poor attention, poor memory and hyperactivity in the daytime. Technology often causes people to miss out on sleep. Young adults who come to me for medication for ADHD often turn out to be chatting or gaming online late into the night. The light emitted from computers and devices also disrupts the biological rhythms related to sleep. Studies have shown a high rate of sleep problems in youths with ADHD, yet rather than making the link – that the sleep disorders cause the inattentiveness and hyperactivity -the sleep disorders are said to ‘co-exist’ with the ADHD. The same applies to hearing problems. These often go undiagnosed in children, yet they are more acute than ever in our modern world, as there is so much background noise to contend with, from mobile phones to traffic. Children with even minimal hearing loss are likely to be labelled as having behavioural problems, when, in reality, they are distracted because they can’t hear properly in noisy classrooms. A nine-year-old boy was brought to me by his worried mother because he was disruptive, inattentive and withdrawn at school. He had been diagnosed with ADHD and put on stimulants, but they had caused weight loss and sleeping problems. I had his hearing tested: he had more than 50 per cent hearing loss in both ears. After being fitted with hearing aids, his behaviour improved dramatically and he became more sociable. 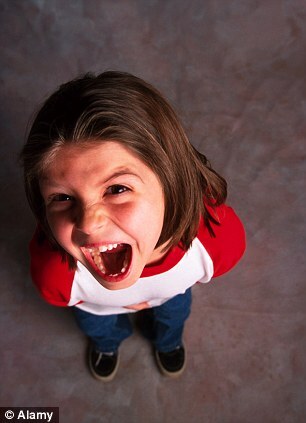 Not all the underlying causes of behavioural problems can be easily resolved. 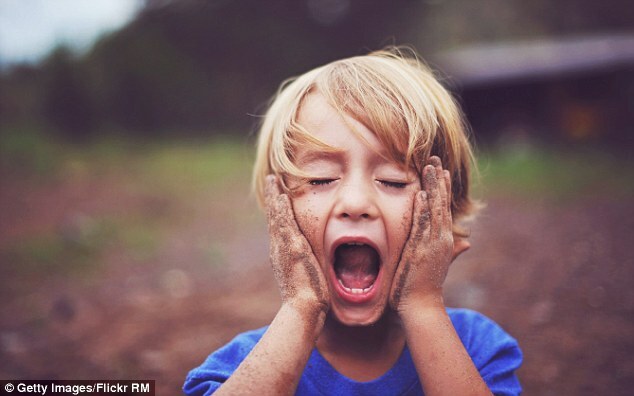 Another disorder said to co-exist with ADHD – but which in fact causes the inattention and other problems – is Sensory Processing Disorder (SPD), which affects more than 5 per cent of pre-school children. People with SPD have trouble dealing with information from their different senses. It’s like a neurological traffic jam that prevents the proper processing of information, and causes clumsiness, academic struggles and social and behavioural difficulties. Some of these symptoms can be misperceived as signs of ADHD and treated with stimulants, which worsens them. But if the SPD is picked up, it can be treated (though not cured) with therapy. Even learning difficulties can be missed because of the rush to diagnose ADHD. Thirty per cent of children diagnosed with ADHD may have learning difficulties, but because the focus is on ADHD, treatment for the learning difficulties is either delayed or not given at all. It’s tragic children are left to struggle because their teachers, parents and doctors focus on their behavioural problems, rather than identifying the learning difficulties at their root. Conversely, children who are very gifted or highly creative can become distracted and disruptive at school if they are not sufficiently challenged. Seeing only the symptoms, not the causes, leads to their frustration increasing and their symptoms worsening. Tourette’s syndrome and OCD (Obsessive Compulsive Disorder), are also frequently mistaken for ADHD as, in an effort to suppress their tics or urges, sufferers can seem distracted or hyperactive, jiggling or squirming in their chairs, and are labelled with ADHD, with the result that the opportunity to treat their condition is missed. An ADHD diagnosis can even obscure such a potentially dangerous condition as schizophrenia. Characterised by hearing voices in the head, or having hallucinations, it is rare in children but can manifest itself as impulsive, hyperactive or agitated behaviour, disorganised thinking and speech, and poor eye contact. Schizophrenics need to be treated by a psychiatrist, usually with anti-psychotic medication. Left untreated, schizophrenia is likely to get worse. Even depression and bipolar disorder are sometimes confused with ADHD. A 12-year-old boy was brought to me because he was throwing tantrums, was distracted and disorganised, sometimes ebullient, sometimes withdrawn. He had been diagnosed with ADHD but his mood patterns and family history pointed to bipolar disorder, which I treated successfully with medication, hugely improving his quality of life. Chances to catch a teenage drugs habit early, before it takes hold, are also frequently missed. Teenagers who appear irritable, distracted, tired or have memory and learning difficulties are given stimulants for ADHD, whereas the real cause of their problems is marijuana, or alcohol. So what can we do to correct this epidemic of misdiagnosis and this worrying tendency to over-prescribe stimulants that leave the true causes untreated? First, we must learn not to overreact. In many cases medication is unnecessary. Children mature at different rates: just because a six-year-old has not yet learned to sit still for hours in class, it does not mean that he or she has ADHD. Giving such children stimulants is wrong and harmful. Many people who are convinced they have ADHD or some other condition are simply dealing with a normal level of stress in a faster-paced world. Adjusting your lifestyle – improving your diet, exercising more, sleeping more – can alleviate many symptoms such as irritability or distracted, impulsive behaviour. Second, we need to rethink what really produces these symptoms. We must discard the decades-old diagnosis of ADHD that doctors, pharmaceutical companies, the media and even patients themselves still cling to. The heartbreak, health risks and even deaths that this false diagnosis has caused around the world must stop. Only then can people be treated effectively for the very real conditions they are suffering, rather than being failed and neglected by the dangerous myth of ADHD.